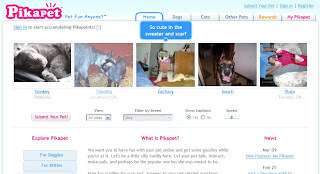 Pikapet is an online community for pets (dog, cats, or other), that lets you take your pets there and make fun. You can post your pet's picture, video, or story. Make a profile for your pet, anything relate your pets there.